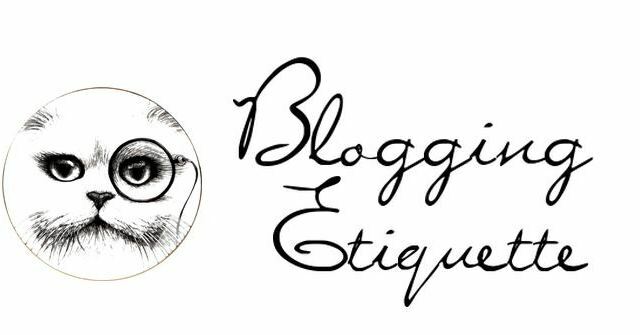 Robyns Simple Life: Blog Etiquette? OK I have a question for you more seasoned bloggers.. I've been keeping a blog for quite a few years now but only recently have really gotten deeply into visiting other blogs that have my interest...Sadly? I think I've slowly become a blog junkie. I have SO many favorites that it takes me hours to get to them all. But back to my question or questions.. I "thought" it's always polite that when you visit someone's blog and leave a comment they usually or 'should' come and visit and comment on yours?.. This is wrong? I ask because I notice on my posts when they do get comments it's always the same bloggers. Don't get me wrong, it makes me so happy these same people come. I love to hear from them but with all the blogs I visit it seems not nearly many come at all.. Is that bad blogging manners or do I have this wrong? I admit that even though I've had my own blog for many years there are still many things I don't know how to do to like, adding an email link, how to gain more readers or how to do a 'link up' or how to make a header with category tabs, or make a button or probably a million other things but I just thought it was always nice that if someone visits you, you should visit back. Maybe my blog is just too boring?. I've also noticed that those blogs that have over 1000 follower's rarely if ever visit your blog or respond to comments, and I have to be honest and say that kind of turns me off of their blog..
Hey Darlin! Thanks for stopping by and checking in on me. This is an interesting post. You are not the first to question blogging etiquette. I am definately not an expert by any means on blogging etiquette but here is my opinion. People blog for different reasons. Some use their blogs as an online public diary and aren't concerned about whether others follow or comment. Others use their blogs to entertain or inform and I think they enjoy the comments. I basically started blogging to meet new people, so I really enjoy the comments and I enjoy commenting (if I have something to say that is relevant to the post). I don't feel it is "bad behavior" to not comment or visit someone's blog. I think it's only bad manners if you leave rude comments. Every blogger is different though. I know a very popular blogger that spends over 4 hours a day writing, photographing and editing photos for her posts. She then gets sometimes hundreds of comments. It would take her several more hours to visit each blog and comment on each one. I say, enjoy the blogs you visit, comment if you have something nice to say, but some people are just in it to blog, not to build relationships, and that's ok. But heck, what do I know! Have a super weekend! I will admit that I don't always leave a comment when I visit a blog. And there are some blogs that I read religiously and never leave a comment. Part of the reason is lack of time. Writing my blog daily and getting the pictures etc. can be a big undertaking. And though I love getting comments, I realize that most who read my blog do not leave any comments....and truly that is fine with me. I am just happy that it gets read. I love sharing the joys of life and my blog gives me that opportunity. It is a way for family and friends to feel connected to us...since we are far enough away from everyone that a quick visit in person is difficult. I don't really know how to increase readership...it seems to grow slowly over time. I can gladly help you with some of your blogging issues....like email links, etc. If you email me with specific questions, I can walk you through it. Hello Robin, I understand your question. Not all blogger leave comments. Sometimes it is strange about some of these people. You have to leave a comment on their blog, for them to leave comment on your blog. Kind of like, To have a friend, you have to be a friend. My husband thinks it's ridiculous. Some just like to pop in, read your blog and leave. Blogging take a lot of time. To write a post, edit the photos and publish them. Learning how to link up and join parties, is another way to add followers. I am more than happy to help you. I can even assist you with your blog design. I design blogs as well. It's a pleasure to meet you. Linda, your newest follower. Hi Robyn, I saw you on someone's blog and popped by to say hello. I visit quite a few blogs every day and I try to leave a comment on those I visit. I have found that I have dropped some blogs over time just because they do not interest me or because I don't feel I have any connection with the person at all. I do think that a person that faithfully visits and leaves comments should be acknowledged at least once in a while. I've been blogging for five years. In the beginning years, all of us visited other blogs and commented on posts. And most bloggers returned the favor. Believe me when I say there were FAR fewer blogs then. It was easier to keep up with comments. Now, there are so many blogs out there that there is simply no way to keep up with commenting. On a personal level, I used to be much better at it than I am now. In those days, I posted about 2 or 3 times a week. But when I became part of the BlogHer Publishing Network, I started to post every day because each time someone visits the blog, I earn ad income. Preparing a blog post takes a lot of time - writing, photographing, editing. And I find I do not have nearly the amount of time I used to to leave comments. But I feel guilty about that. If I could I would visit everyone all the time. But often I only have time to read a post, if that, and move on. I try to visit different blogs each week and leave a comment. But I'm not always successful. So, yes, it's good etiquette to return the visit. But it doesn't always happen. It has nothing to do with your content, but more to do with time, I think. There are some blogs that I've read for years and the writers have never left a return comment on my blog. I used to be upset by that, but now I understand. It can be very hard to find the time. It doesn't mean they are not interested in what you write. I have lots of people reading my blog that never leave a comment. Then one day, I will write something that triggers a comment. Especially lately. I've heard from several people who stated that they've read my blog for a few years and have never left a comment. And that's fine. Threaded comments on my blog seem to help because I can have a dialogue with my readers and I feel good about that. YOu have left a very thought provoking post here. For me, I would say that I agree with Holly. I know Holly, Debbie, and Beverly, and I like what they all had to say. I have not been one to try to build my blog with linky parties, etc. However, I often visit these linkies, and enjoy them very much. But I don't even try to commment on every blog I visit. I simply can't. I enjoy the creativity I see out there, and I love to keep up with favorite blogs of mine, but I don't always comment. And I comment faithfully on certain blogs that never ever visit mine. I don't care about that. It isn't a popularity contest to me. It is a vehicle to express my creativity, and to document our lives. It is a very personal thing really. It is different for all of us. But as far blogging manners, I think the only thing that qualifies as rude, is to leave a comment that is not nice. Keep on doing what you do, and don't worry about it. Robyn, by no means am I an expert. I am guilty of not always visiting the blog of one who left a comment. One thing that we do pride ourselves on is responding to each comment if there is a way to. As far as following a million blogs, I use to and like you was spending way too much time on that. Now I have to really ask myself if it is worth it and usually follow on facebook and than if the post is interesting go to the blog. But I have had to reduce those numbers down. Hope this helps out a little. I agree-- there are rules of etiquette to be considered for sure. Most of it is just common courtesy. I'm not a "big" blog...I'm still working at building it. I don't know the "ins" and "outs" of some of the blogging technology. But I do know how to visit a party. I like those- first it introduces me to lots of other bloggers with similar interests; second it brings traffic to me. All I can really do is make people feel welcome. But...I am addle-brained and a creative disorganized person-- so most of the time it's easier for me to email people when they leave a comment, and then as I'm out hopping around-- I visit and they are sporadic. The thing is you do what you do. Blog about your life, your hubby and your fur babies--not everyone comments some just read and move on; but keep in mind. The old adage you can bring horse to water...but you can't make 'em drink it. (which you are...by the way) I'm just saying you can't hold yourself responsible for what others do. I'm about to be 48 yr. old this year...and I'm just understand more clearly the phrase. "Your response is your responsibility." It makes for a lighter load I tell ya! I try and visit everyone who visits me and do understand about being a blog addict. That makes it sort of difficult to get my real life stuff done though, you know -smile-. Especially with the farm work, working on the book, house work, animals...sigh. I don't do facebook or twitter or social media, just blogs. Many thanks for visiting Thistle Cove Farm; I followed you home. PS I looked to see and realized I was not a follower. There's nothing wrong with doing a post and inviting everyone to follow! Sometimes we forget to check! Sweet hugs! Second, I’m not sure I qualify for well-seasoned – I’ve only been at this for 2 years. Third, I share the same opinions as the above commenters. It takes all kinds of people to make the world go ‘round. In real life there are people you greet with a hug & kiss, those you shake hands with, those you greet with a smile and those you pretend not to see. I think the internet community is the same, just without the benefit of all the non-verbal cues. For example, if I’m in a shopping mall, I don’t go into every single store that has something pretty in the window. And I certainly don’t seek out the shop owner to tell them I like something – or ask for the contact information of the person who made it to tell them I like their creation – especially if I have not intention of buying it! LOL! Before I had a blog, I NEVER commented. Ever. When I started blogging, I would sit and wait for comments to come in and realized how much I enjoyed them so I started leaving them. All over the place. And I replied to every single comment I got. It was fun. But after a while, it simply became too time-consuming to keep up that pace, especially as I found more blogs I liked and more comments were left for me. I think it's all been said by the above people. I have gotten such a long list of blogs I follow it's crazy! But following doesn't mean I visit them every day and in some cases I stop visiting them because as in real life....things change. They start down a different path maybe or I'm into something else and what we had in common once is no longer valid. I'm always wanting to get to know people but I'm not out to win a popularity contest nor should you. I'm retired and lots older than you and at my age with the limited amount of energy I have during the day I need to spend it wisely. I have health problems that I don't discuss much on my blog but they affect me and some days are good and others aren't so I can be sporadic in posting and visiting. I would never want to hurt anyone's feelings but my health and taking care of myself is my priority now at my age. I am pretty much a recluse so my blog and blogging friends are my social life. I never take anything personally because you never know what that person is going through or what might have happened to them that day or week. There are ways to get more followers if that's what you're after. Those linky parties do very well but I'm not into that myself. You need to figure out why you blog and what you're willing to give to it and what you want to get out of it. There are blogs that want to make money, blogs that want to get famous and have LOTS of followers and then there are blogs that are more like journals or keeping families connected etc. Mine is more like a journal and also to connect me with like-minded people. I have LOTS of interests and I'm also in the process of trying to get my house on the market. Once I get where I'm going I will probably be a "better" blogger and it will probably be more DIY projects. My blog has changed and yours will too but always make it fun for you and don't worry about anyone else. I read many who never answer back but that doesn't stop me since they have many more followers than me. Also, if you notice.... when I DO comment I write an essay! LOL! That keeps me from commenting on too many blogs because I don't have that much time! Ha! Ha! I will follow you now but see it took you a couple times on my blog before I finally got "A Round Tuit"....I'm slow! 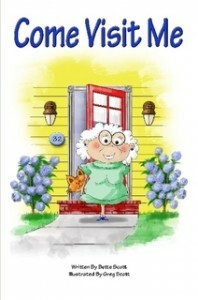 Take care sweetie and remember "rejection is protection"....that's my story and I'm sticking to it! Have a great weekend and I hope this helped. When I started blogging in 2007, I had a few blogs I visited daily, and always left comments. Many of those are still on my favorites list, and I still try to visit when I can. Like others have said here, blogging takes a lot of time, and these days I'm lucky to get a post done 3-4 times a week because my life is even busier now than when I worked full time--and back then, I could visit blogs on my lunch and coffee breaks, with high speed internet. Here at home, I am busy from sunup to sundown. And the internet is by satellite and not nearly as fast so everything takes longer. I also do ebay--more time. I have been trying to do better with visiting and commenting by going to at least one or two a day and more when I have time. I decided that one way I could compliment and stay connected with the blogs I like was to add them to my favorites list, which is now quite long. As each blogger posts, their blog moves to the top of my list and I am more likely to visit them. I love comments on my blog, but the blogging community is huge now, and it is impossible for me to visit all I want-I'd get nothing else done :) So I am very happy when people stop by mine and leave a note, and I try to do the same when I can. I'm glad I found you, by the way! Hi Robyn - I commented earlier but don't see my comment. I must not have hit the Publish button! Maybe that's the problem:) I really wish I had time to comment on the blogs I read - I agree with some of the other posters - if I'm reading blogs at lunch, I can comment. But my home computer is pretty unreliable and I do stupid things such as commenting and not hitting Publish! But anyhow, like I said in my previous comment, I love to read blog posts but I'm not a chitchatter in real life so my tendency is to read and not comment unless I really have something to say. BTW, I'll try to be a better blog and comment a bit more often! * I mean "It's a tough question." Hi Robyn, I laughed when you said that I was a seasoned blogger. Until a year and a half ago I never knew anything about blog hopping or parties. Little lone etiquette. I have really learned alot though. For a long time I had a no reply blog and didn't even know it until another blogger told me. Since then I have learned that it is blog etiquette to reply to comments. I try to do this, but sometimes it's hard to get to all of them. I love blogging and would never want to hurt any of my wonderful friends feelings. I try hard to visit. But then again, I also think that family is my first priority. Don't want to spend too many hours on the computer. I rarely find time in the day which is weird, because I don't work. One thing I have tried to do is visit everyone that links up to my Share Your Cup party. I get approximately 100 links a week so it takes me a while. I realize that those who get 200 or more find it impossible to visit everyone and leave comments. There are a few blogs that I have left numerous comments and have never had a reply or comment from them. It does make me feel as though they don't care and I usually quit visiting them. If you ever need help I'll be glad to tell you what little I have learned. Hubby had to help me figure out how to make a button and you should have seen me the first time I tried to figure how to link up to a party. It was quite comical. I also don't list my favorite blogs on my site because I have too many that I love. It is so funny how you get an attachment to people that you have never really met. I would feel so bad if I left someone out. When someone comments on my blog after I reply I hop over to visit them. Every now and then if the comment gets too old I just try to keep up with the most recent. Crazy blog world, but oh how I love it. Hope this helps my friend! Hi Robyn, I totally agree with everything that the above commenter's have written...it's all been covered..so anything I could add would be redundant. I try to visit and leave a comment on each blog that leaves me a comment...but like many say, it's getting harder and harder to find the time, no matter how bad we feel. I do feel that life should take precedence over blogging at all times...for instance, I had company all afternoon, and just now got to your email. I am really enjoying reading the comments, and I bet you are too. I will be totally honest here. I used to be able to get back to everyone that commented but as comments grew and my kids were in three different schools this year, my free time to blog has been cut and I do not. I would love to but I also feel my family has to come first. I hate to hurt anyone's feelings though too or to seem rude so it is a conundrum. But it is how it is for me. I think we all have to blog the way we enjoy and not let it be a negative thing for us. As for myself I would never ever leave a negative comment on a blog. Why? I would just move on. This is just a rule I have for myself. It is good to put questions out there. Helps us all to be accountable and careful of each others feelings. I think it is a time constraint also. I work four days a week and can't return every single comment. For the most part, I find blogger courtesy very good. Hi Robyn. I am so happy to see that you received so many comments to your question. They are all things I would have said and are good advise. I have been blogging for 2 years now and started out blogging about decorating, which I love. I gained a few followers and some are still good friends. But it wasn't until a year ago that I found the link of Barn Charm that I really found my niche. It's always been a passion of mine to photograph old barns. So when I found that blog I linked up a photo of a barn and then visited everyone else that had linked up and commented on their barns and following them. They started following me back. You wouldn't have to link up to any parties but if you find one that you like you can visit everyone that has a link and comment leave a comment and follow if you want. I don't usually reply to my comments unless someone asks a question or if it someone new. Then I go back to their blog and leave a comment and thank them for their's. Blogging takes a lot of time. So blog about what you love, and don't feel hurt if someone does not comment or reply to your comments. This is what blogging is all about. Sharing! I love how you "stirred the pot". And I like reading everyone's comments. Oh, Robyn, how I appreciate this post and the comments! How helpful to read similar thoughts by so many, one of my biggest guilt-producing problems with blogging... commenting. As my follow and following list has grown, I cannot begin to comment on every blog I read, though I would like to. My reader and in-box is over-flowing. You have a lovely blog and I have always enjoyed visiting! Thank you for the kind comment you left on my recent post. I am getting back to yor regarding your blog etiquette question. All of the ladies above have pretty much answered your question, I think. At one time, I did feel as you do about if I left a comment I hoped someone would leave a comment back on my blog post. But over the years I found that people are busy and don't have the time. I also stopped letting it bother me and write posts in my blog for family and friends to read and for anyone else if they would like. My blog is only interesting-- to those who might have the same interests,etc. Thanks for asking the question as I think it has us all scratching our heads and wondering how we might be better bloggers. And no matter how many followers we may have or how long we have been blogging we ALL love a nice comment on our posts! Have a nice weekend! Hi Robyn, Sorry I didn't answer sooner but we were away in the mountains and didn't get wifi. I so understand your comments-especially about those folks that have so many followers but never, ever, bother to respond to your blog. I've dealt with this for ages. I also try to respond quickly if someone has left me a comment but some days are so busy that I may not get to all. I do my best though. I have so many blogs I follow(yes I'm addicted too)and often will skim posts if I don't have the time to read everyone. I try to take at least one day a week and really post on almost all the blogs I follow. As for ad's etc.-I don't do that or too many links on my sidebar. I hope this helps. If I had more than 200 followers, I'd never get anything done. I do try to visit you often cause I love your posts. You are not boring by any means. I think it is always polite to respond to my comments (most bloggers don't even do that) but I don't always go to the commenters blog and leave a comment.